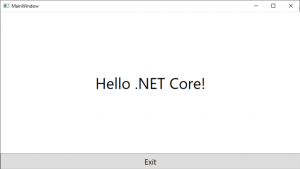 One thing that has been recently announced by Microsoft is the availability of .NET Core 3. 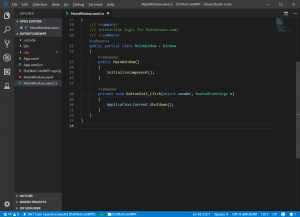 With it, you will be able to create WPF and Winforms apps with .NET Core. 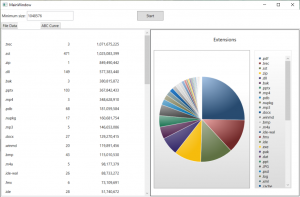 And one extra bonus is that both WPF and Winforms are being open sourced. You can check these in https://github.com/dotnet/wpf and https://github.com/dotnet/winforms. 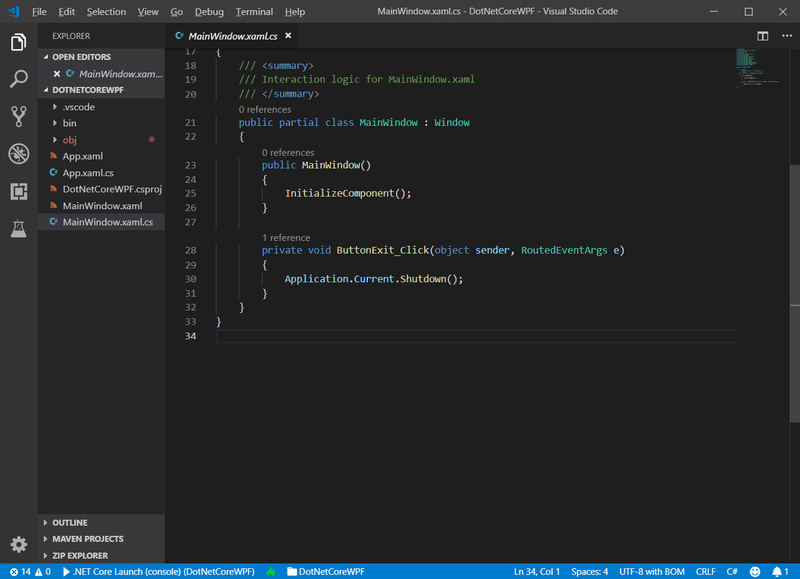 If you don’t want to use Visual Studio Code, you can edit your project in Visual Studio 2019. The first preview still doesn’t have a visual editor for the XAML file, but you can edit the XAML file in the editor, it will work fine. 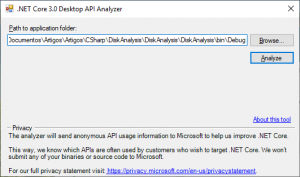 To port a WPF project to .NET Core, you should run the Portability Analyzer tool first, to see what problems you will find before porting it to .NET Core. This tool can be found here. You can download it and run on your current application, and check what APIs that are not portable. As you can see, all the code is compatible with .NET Core 3.0. So, let’s port it to .NET Core 3.0. I will show you three ways to do it: creating a new project, updating the .csproj file and using a tool. 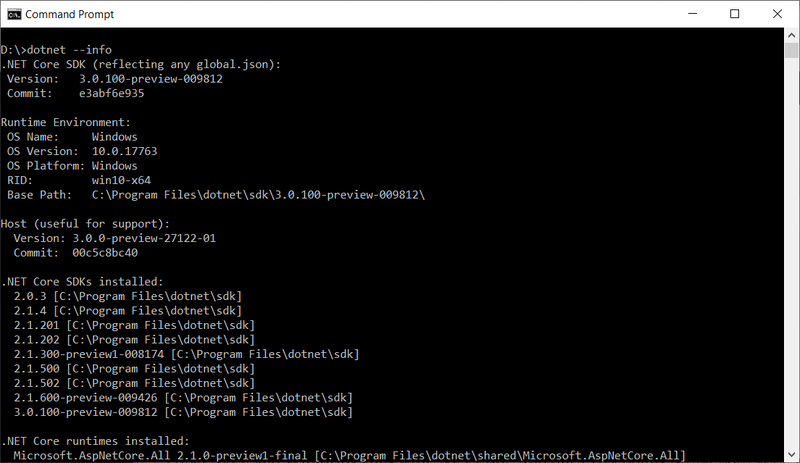 D:\Documentos\Artigos\Artigos\CSharp\WPFCore\DiskAnalysisCorePrj\DiskAnalysisCorePrj.csproj : warning NU1701: Package 'DotNetProjects.Wpf.Toolkit 5.0.43' was restored using '.NETFramework,Version=v4.6.1' instead of the project target framework '.NETCoreApp,Version=v3.0'. This package may not be fully compatible with your project. 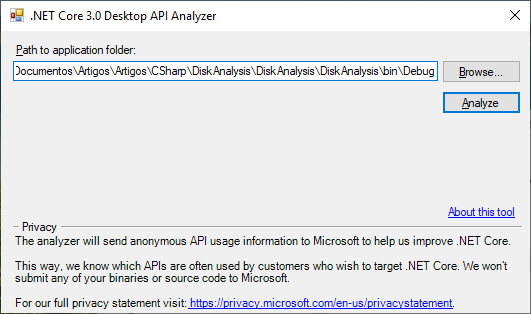 D:\Documentos\Artigos\Artigos\CSharp\WPFCore\DiskAnalysisCorePrj\DiskAnalysisCorePrj.csproj : warning NU1701: Package 'WPFFolderBrowser 1.0.2' was restored using '.NETFramework,Version=v4.6.1' instead of the project target framework '.NETCoreApp,Version=v3.0'. This package may not be fully compatible with your project. 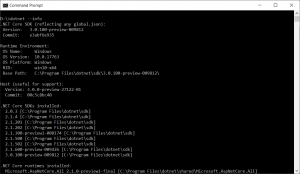 and the program is executed. The third way is to use a tool to convert the project. You must install the conversion extension created by Brian Lagunas, from here. Then, open your WPF project in Visual Studio, right-click in the project and select “Convert Project to .NET Core 3”. That’s all. You now have a NET Core 3 app. 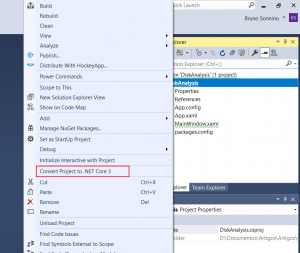 If you did that in Visual Studio 2017, you won’t be able to open the project, you will need to compile it with dotnet run, or open it in Visual Studio code. 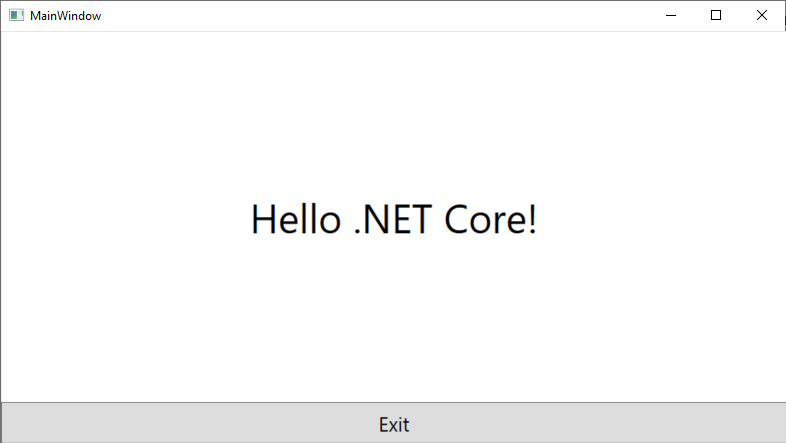 As you can see, although this is the first preview of WPF .NET Core, it has a lot of work done, and you will be able to port most of your WPF projects to .NET Core. Thank you for showing us this. Though I program mostly in ASP.NET Core 2.x I still many times use the old Windows Forms to try out something or just quickly do a makeshift testing UI for a function. With its WYSIWYG designer it is still much faster for me then anything that is up-to-date technique today. But I had to rely on the classic .NET with this. 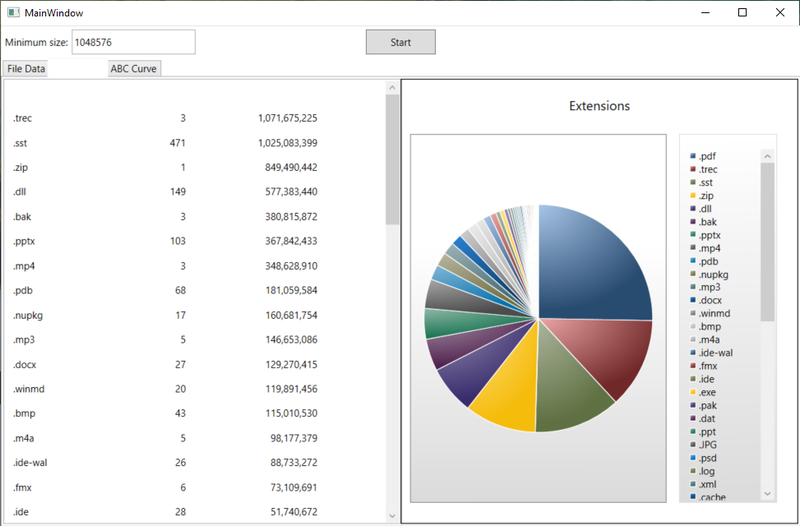 The good news now is we will be able to use the classic WinForms and WPF with the latest .NET Core, if I got it right. However I would appreciate some info about the state of design tools. 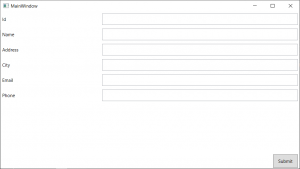 Why there’s no Windows Forms design editor at all in the VS 2019 preview. 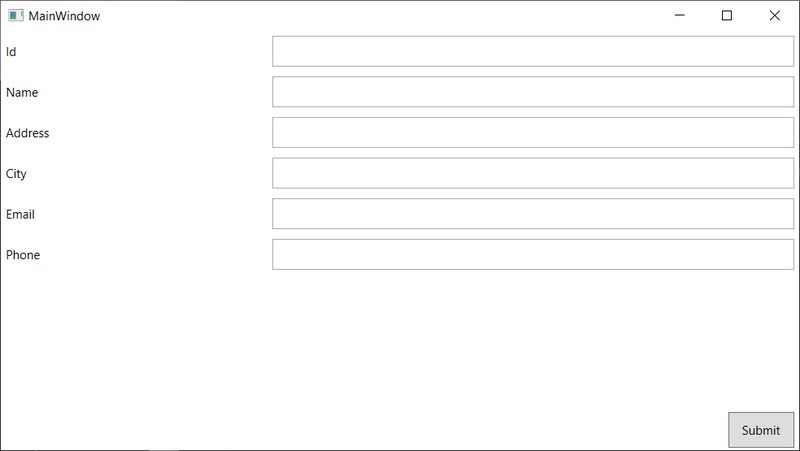 I made a sample Windows Forms + .NET 3.0 in the VS 2019 Preview, but was unable to edit the Form. And also the status of Blend is confusing for me. Is it being deprecated for WPF nowadays? Why there is no wysiwyg tooling at all in Visual Studio now, we had it since Visual Basic 1.0 for WinForms. I just cannot believe we are all doomed to directly tinker xaml code with some text editor equaling notepad’s productivity in 2019. Right now there aren’t any editors for Winforms and WPF in .NET core. These are still in preview, so things can change in the future.